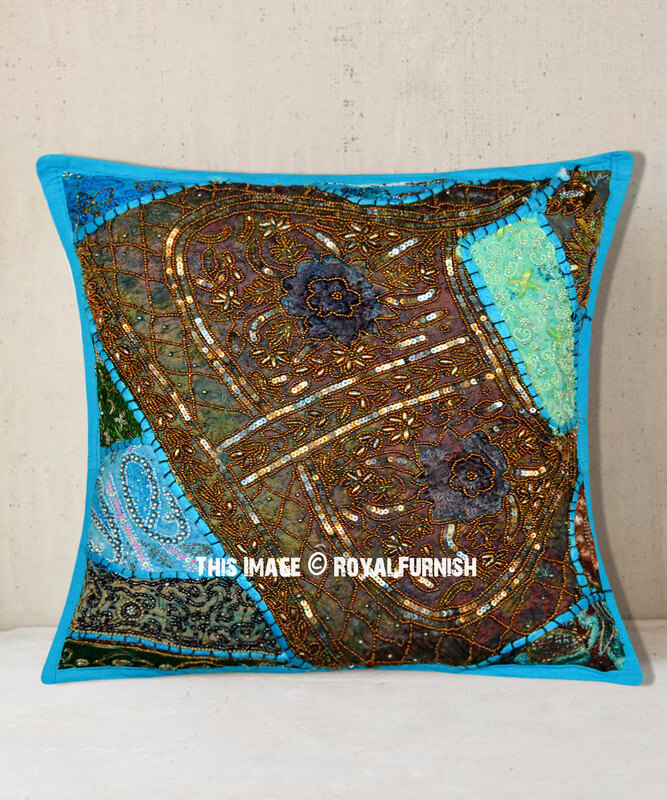 Add glitz and glamor with Indian vintage flair look to your home with intricate India handmade patchwork beaded throw pillow. 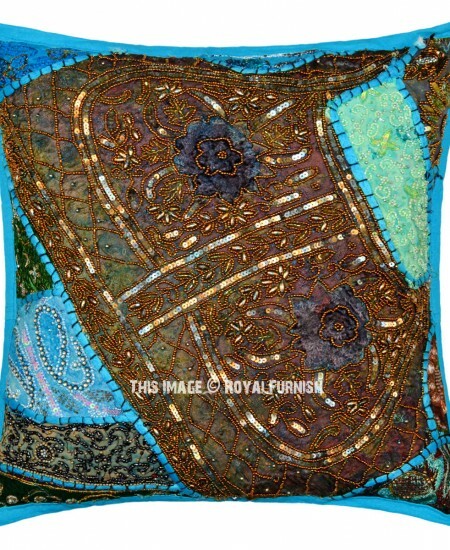 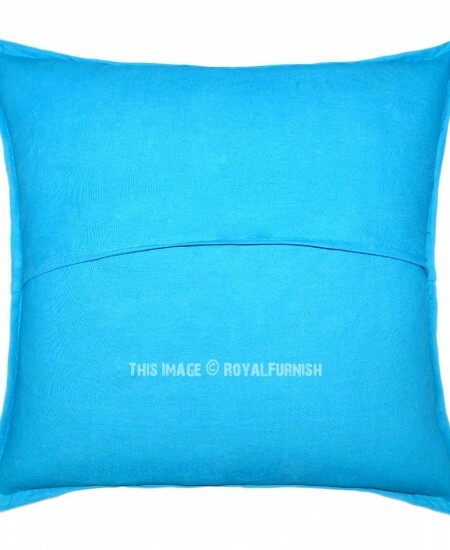 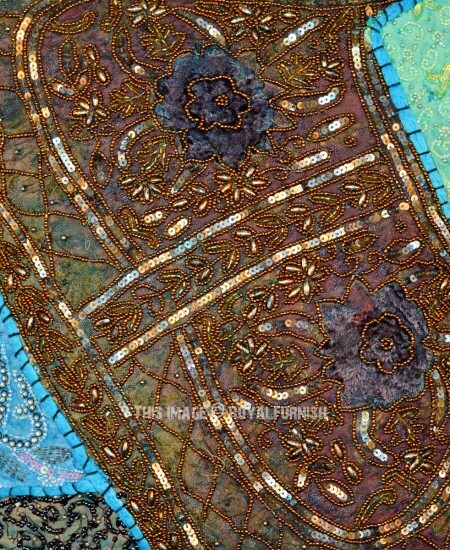 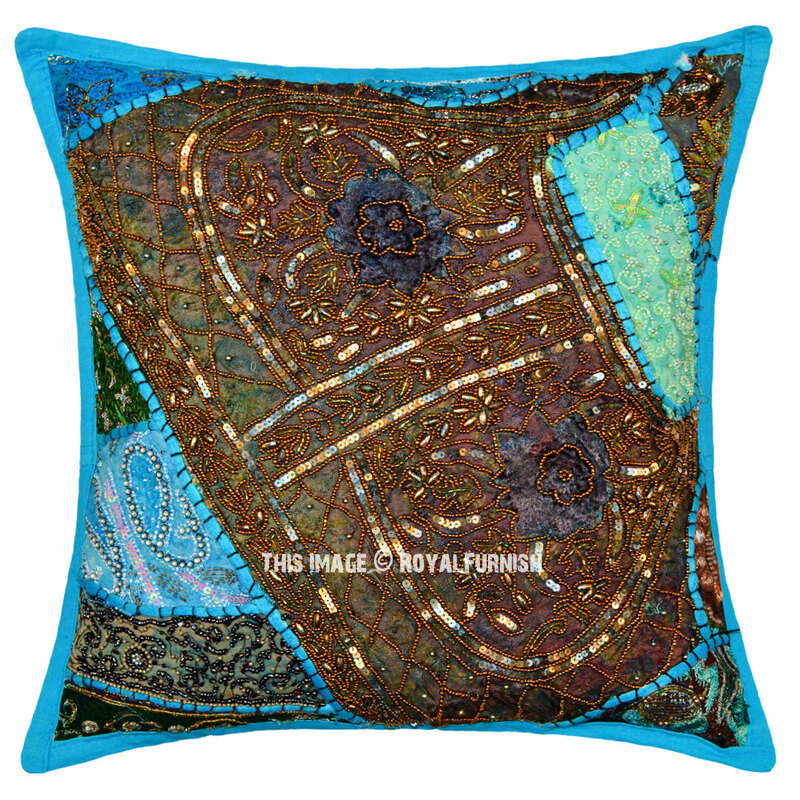 The beautiful decorative pillow features exquisitely detailed heavy bead work with cotton backing. 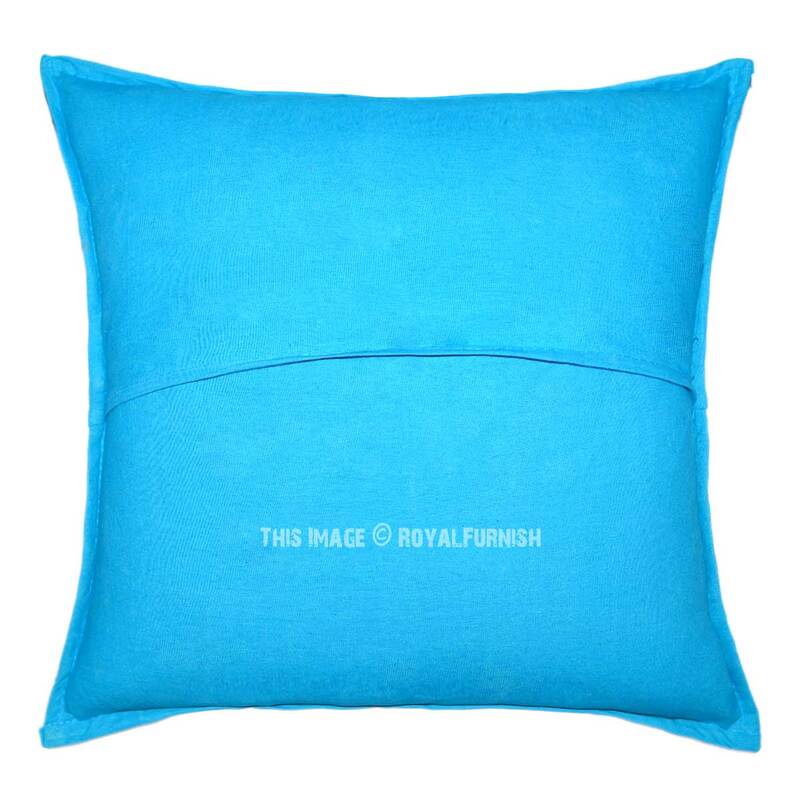 It is a perfect accent for a sofa or chair, or a great way to add a playful touch to your bedding ensemble. 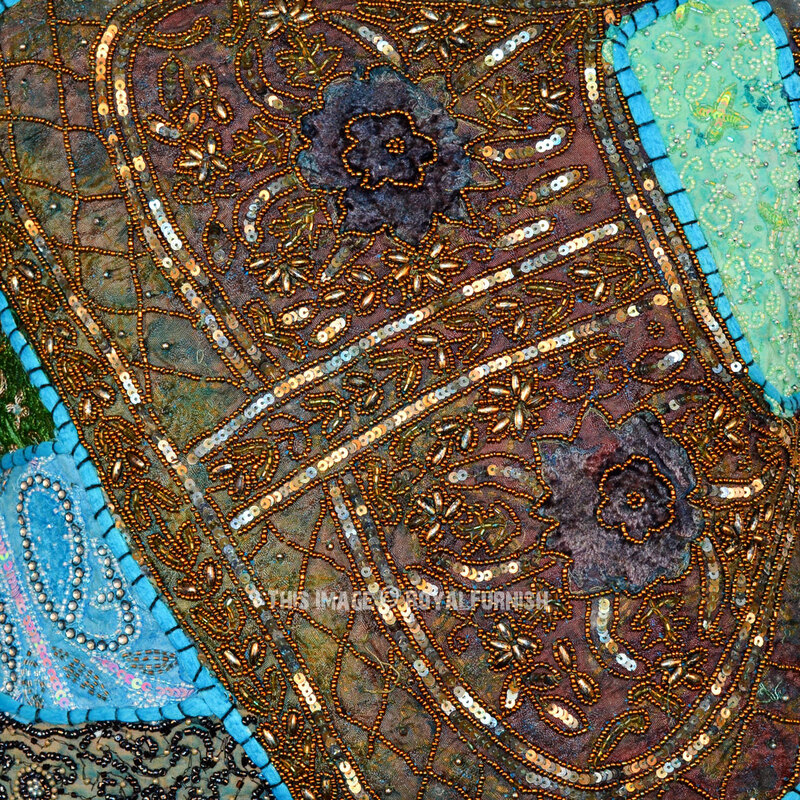 16" Antique Blue Sequin Beads Patchwork Embroidered Throw Pillow Sham added to the cart!